There is a quantifiable relationship between a positive customer experience and increased loyalty, sales and recommendations. A good experience on a company's Web site earns commitment and return visitors to the site. In fact, the findings shows that "highly satisfied visitors" to U.S. retail Web sites are 65% more committed to the brand overall, 68% more likely to purchase from the retailer online, 48% more likely to purchase from the retailer offline, and 67% more likely to recommend the retailer than their dissatisfied counterparts. Highly satisfied shoppers said they are 67% more likely to recommend the Web site to a friend, family member, or colleague than are dissatisfied shoppers. What contributed to higher online sales this holiday season? Larry Freed, president and CEO at ForeSee, points to promotions, ad targeting, online advertising and social media. Lots of retailers aggressively discounted and promoted goods and services, contributing to the growth in holiday season ecommerce that data firm comScore estimates increased more than 15% year-on-year through Dec. 18. That is compared with more than 12% in the prior year through Dec. 19. Overall, consumers felt good about prices. 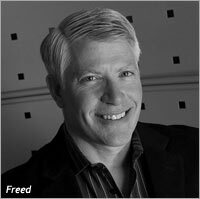 Freed believes that better discounts would not have had the biggest impact on improving sales. Targeted emails continued as a strong source of driving consumers to Web sites. The more targeted emails, the better. Social media also contributed, but it was not an overwhelming driver for better sales. It became more of a support channel for retailers to communicate with consumers. "Consumers accepted the economic uncertainty and volatility that has existed for the last few years and returned to the stores and Web sites, but aggressive retail promotions fueled some of that growth," Freed said. "We would expect online sales to experience modest growth over last year as we enter the first quarter. But we need to be cautious that we are not training our consumers to only buy on discounts, promotions and daily deals, which would ultimately have a negative impact on margins and retailer profitability." What makes a shopper satisfied with a retailer's online experience? While price seemed to matter less for American consumers this holiday season, the data reveals that improving merchandise, choices and content had a greater impact on ROI and customer service. Consumers found more of a variety on Amazon, which took the top spot at 88 points, up two points compared with last year. Aside from Amazon, 14 other retail Web sites registered scores of 80 or above -- generally considered excellent. Others that took top spots for online retail performance were Apple, 83; Avon, 83; J.C. Penney, 83; and QVC, 83. TigerDirect.com, J.C. Penny, Dell, VistaPrint, Home Depot, and Macy's were the most improved. Gap with 73 and Overstock with 72 took the lowest scores. Netflix, Home Shopping Network, and Best Buy declined the most in customer satisfaction. Netflix forgot how the company created "a much-loved brand." The company "misread its customer base," damaging its brand among both consumers and investors at a time when providers of streaming and rented video content were proliferating the market, notes the report. Blockbuster resurfaced with an aggressive marketing campaign in hopes of taking advantage of Netflix’s mistakes. Blockbuster declined one point this year -- from 76 to 75 -- meaning that only four points separate the two video leaders. Last year, 10 points separated them. The ForeSee E-Retail Satisfaction Index, U.S. Holiday Edition, analyzes how consumers view customer satisfaction for the top 40 U.S. online retailers during the 2011 holiday shopping season. The study looks at sales volume determined by Internet Retailer. The result of more than 8,500 customer surveys collected between Thanksgiving and Christmas provides a year-over-year comparison of both average satisfaction and satisfaction with individual retailers.